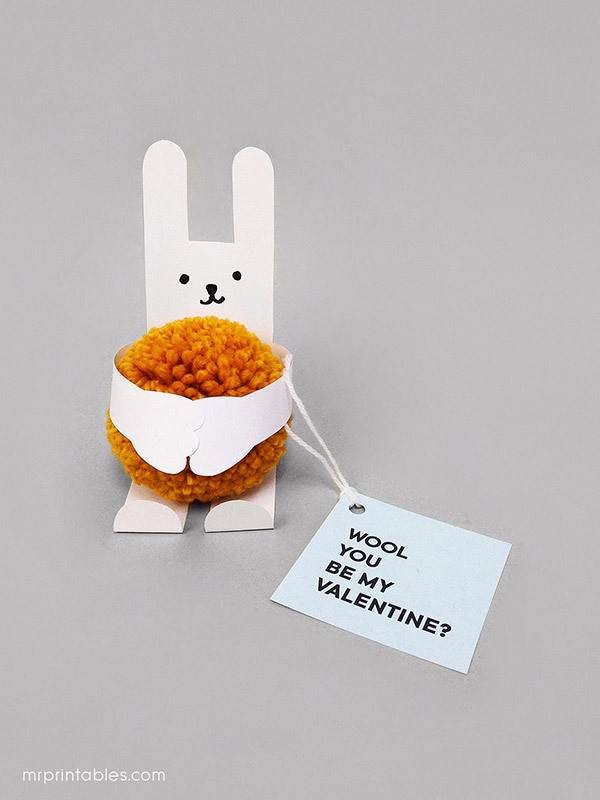 What's better than giving a fluffy, huggable pompom you've made yourself as your Valentine's Day card? Making pompoms is easy and cute Valentines craft for kids. Lots of woolly Valentines puns available too, so the combination is perfect for an adorable kids handmade Valentines card. You know we LOVE pompoms here. We’ve been making fun pompoms for many years for our Mr P blog. 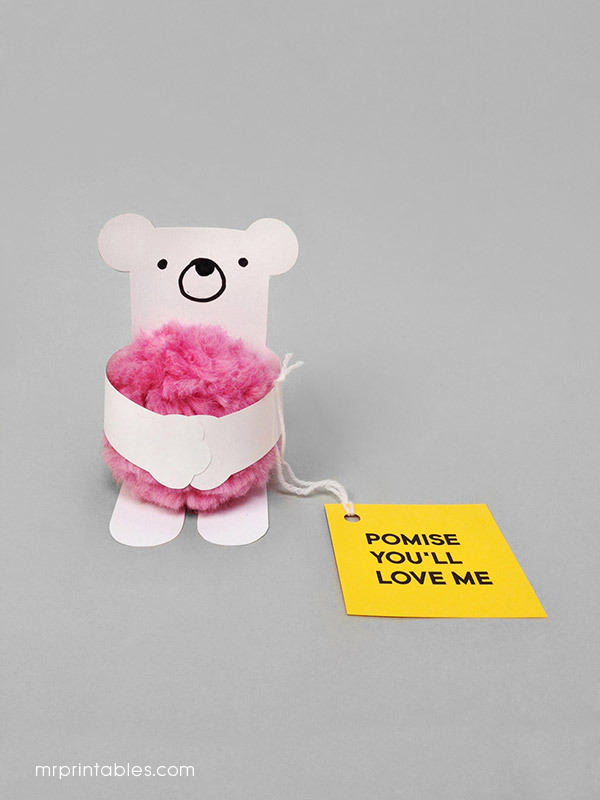 Pom Maker is the result of years of pompom love, it’s a new pompom maker designed by us. Hurray! It’s made of solid beech wood and non-toxic toy safe paint. It will last for a long time without breaking like the plastic ones. 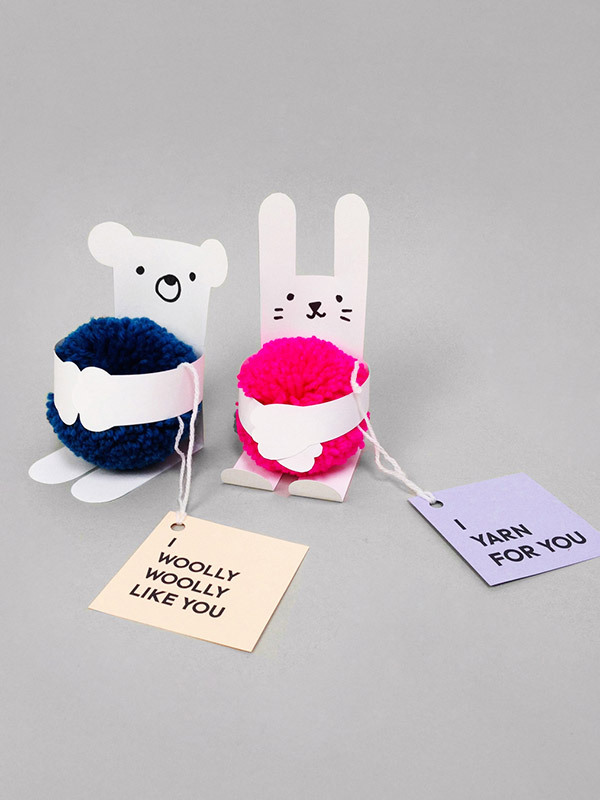 It makes pompom making super easy – wrapping is easier with open parts and you can even make one pompom together with a friend at the same time. The final pompom is round and fluffy, you need very little trimming. It allows you to wrap a lot of yarn so you can use super chunky yarns, add layers and layers of any design elements you want. You can make smaller, fluffy pompoms or make very dense looking larger pompoms all with one tool. Check out our Pom Maker Instagram feed and also what others think about it on our hashtag gallery #wearepommakers . Ok! 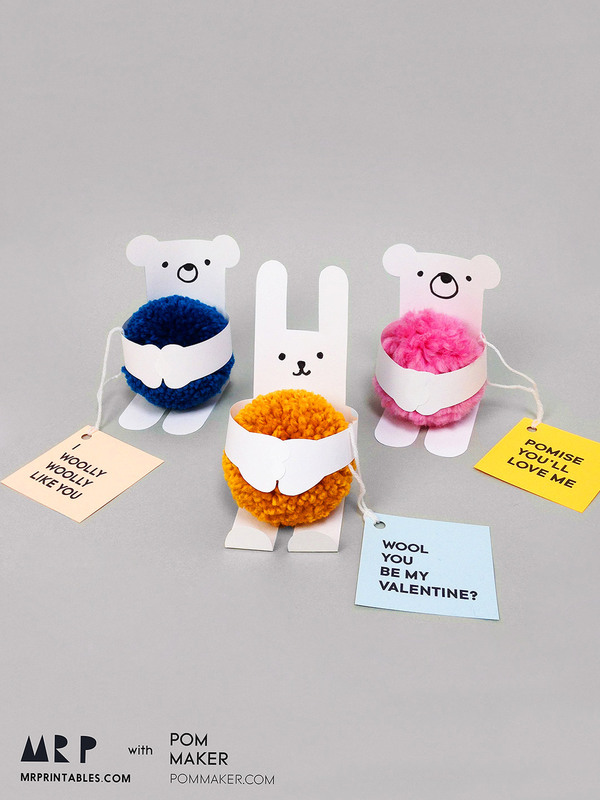 if you have your pompom maker ready, let’s start making these adorable Valentine’s day cards for kids. Make some fluffy pompoms! Check out our video tutorial showing you how to make a pompom if you’re not familiar. – Wrapping approx 30 counts each half with super chunky weight yarn. This is a great option for smaller kids. – Wrapping approx 150 times per each half with aran weight yarn. Download and print the templates. Cut out and draw your own bunny & bear faces on them. You can simply draw with a felt pen like we did, or add more colors, nice clothes and accessories with coloring pencils, stickers…anything! Fold them in half so the animals can sit down. Glue their hands together. You can decide where to glue by checking the size with the pompom you’ve made. You can make a comfy hug, or you could squeeeeeze your pompom! Add the message card to their arms with some string. 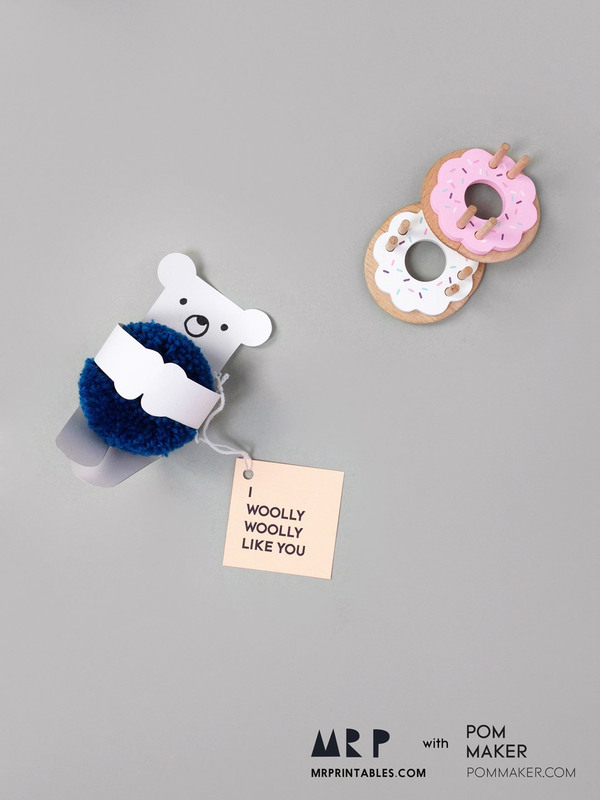 There’s a shortage of wool/pom/yarn puns out there. Tell us yours in the comments below if you yarn for some! We used 100% wool yarns, no nylon here, because you don’t want to send a message like ‘I nylonger lover you…’! We hope you’re now well and truly ready for spreading some pompom love! Kids love making pompoms and this is a great way to turn simple pompoms into lovely Valentine’s Day cards. Browse our other printable Valentine’s Cards for kids here.